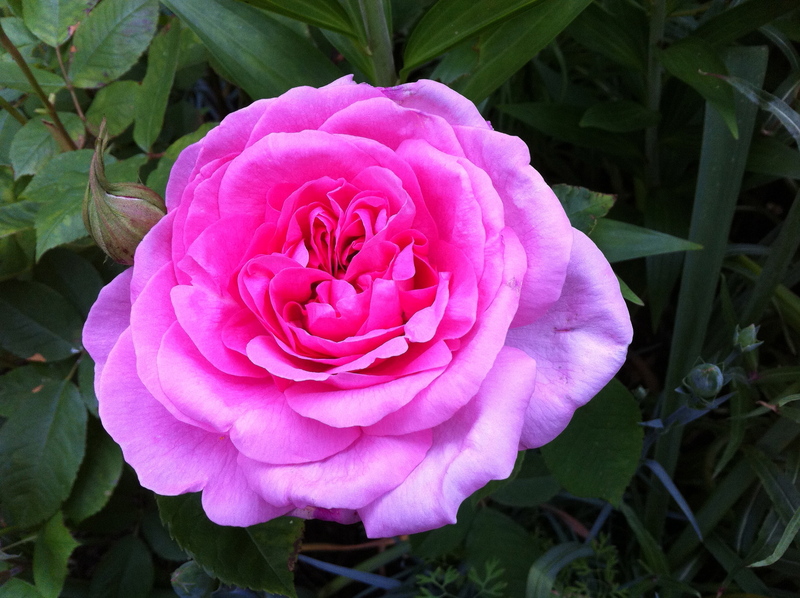 The Rosa Gertrude Jekyll is quickly becoming one of those star plants where you wonder why everybody doesn’t have one. Despite regularly cutting the flowers to bring inside for the fragrance and to stop the plant from exhausting itself, it just keeps on producing rose bud after rose bud that open into the most beautiful and deliciously perfumed flowers. It just keeps on giving and I can’t wait for it to grow up the side of the garden arch so that I don’t have to bend right over to smell the flowers. You must have found just the right spot for your Rosa Gertrude… she obviously loves living there! Thanks, I’m so glad that is has taken off and is really thriving. I can’t wait for it to reach the top of the arch it’s planted against. I have this rose too and it is one of my all time favorites. The smell is intoxicating! Your photo has captured the color perfectly. We’re just two among many, many fans of this rose. You’re right about the scent – I just can’t describe it apart from saying that it’s just the perfect “rose” fragrance.